Ford crankshaft damper spacers are identified by basic part number 6359. This part fits over the front end of the crankshaft snout and fills the space between the harmonic balancer and the timing cover. 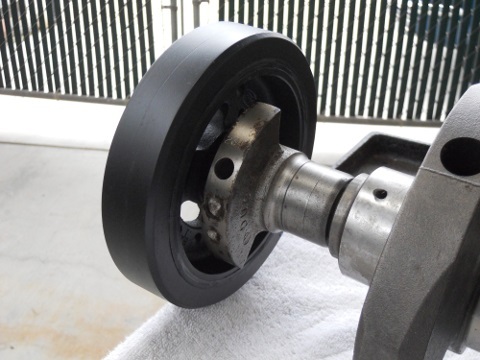 The 428 Cobra Jet and Super Cobra Jet spacers are made of steel and were typically unpainted when installed. The 428 Cobra Jet and Super Cobra Jet engines used different spacers. 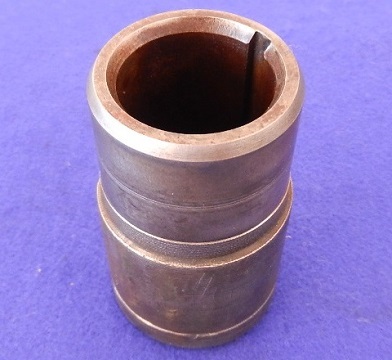 While both spacers are cylindrical and are slotted on the inner surface to accommodate a woodruff key that holds the spacer in place, the SCJ spacer includes a counterweight that's needed to balance the reciprocating assembly. This counterweight is sometimes called a "hatchet" because of its shape. 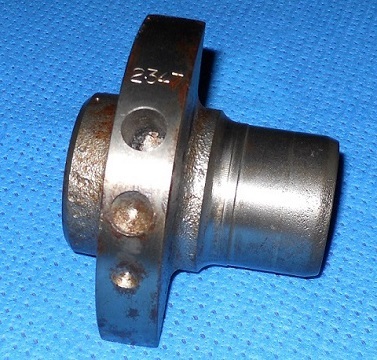 The spacer used on the 428 CJ was commonly found on other FE engines, including the 1965 - 1971 352 and 390, 1966 - 1970 428, and 1965 - 1968 427. 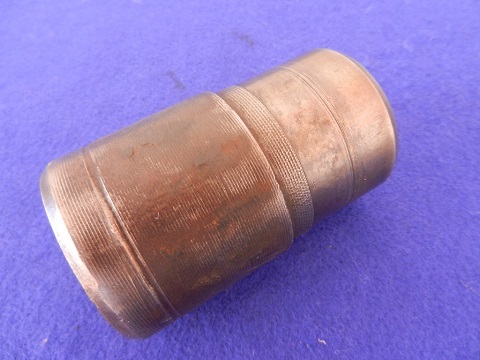 The SCJ spacer was used exclusively on 1969 and 1970 428 SCJs. The CJ spacer does not have any identifying marks. There are a number of grooves machined around the outer circumference, but no engineering number or logos. 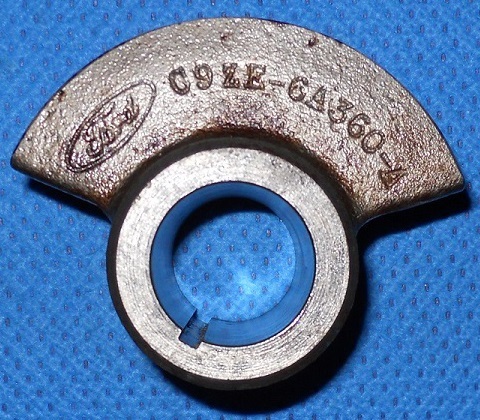 The front-facing surface of the SCJ spacer counterweight is marked with an oval Ford Logo and the C9ZE-6A360-A engineering number. 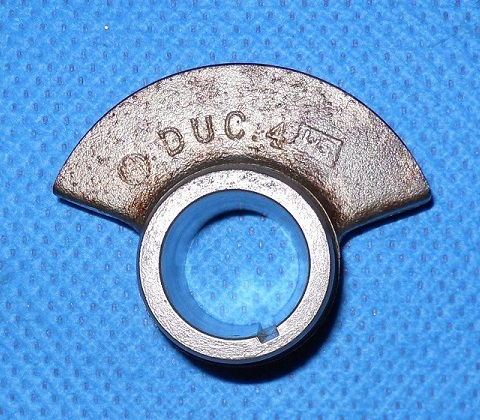 The back-facing surface of the counterweight is marked "DUC" along with a series of letters and numbers that can vary from part-to-part. Examples seen include "4", "6", "W5", and "M5". The counterweight on the SCJ spacer often shows evidence of drilling for balancing as shown below. The meaning of the "2347" mark is unknown. Thanks to Brian Conway and Kerry Wortman for the images used on this page.